the service center,and let the phone installed. charge it if the LCD is damaged by the buyer during the phone install process. It is only fit for Samsung S8,not compatible with any other iphone models,each piece of item was tested by professionals to keep the product quality in best condition. 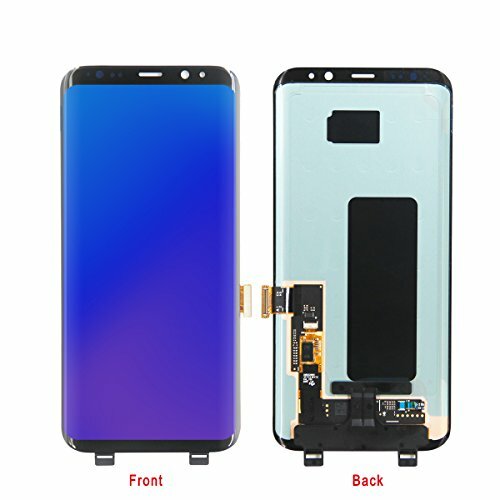 Please be noted:It is not fitted with full functions for cell phone,and no with home button.Mainly made of back light + flex cable+frame + touch screen + LCD display etc,you could Replace your damaged,dead pixel,cracked,shattered screen with it to make your cell phone look like new cell phone.